I was going to post the first pages of chapter one but I spilled Diet A&W on it and the cat got scared and threw up. In the FAX machine of course! How do you think these posts make it to the great Internet and beyond? Clean it? Never. Does FAX still need to be all caps? It looks more important that way. Here’s a FAX from Brenda. She wants her lawnmower back (that’s not a euphemism––Brenda, stop sending me FAXES). I think it’s really saaaaad when someone goes to the comedy well and pulls out “FAX machine.” Probably almost as sad as using the words “comedy well.” Unless it’s at the end of the sentence, “The bishop and her minions do not handle comedy well”. I had a theory that, due to unremitting childhood ridicule and beatings, all persons named “Stephen” are the most boring people on the planet. Then those funny guys Coogan, Fry, Colbert, and Hawking popped into my head and I threw my theory at the servants in disgust. Not to mention that side-splitting guy Stephen Covey! Come on, Fellow Steve, “habits” are for nuns. 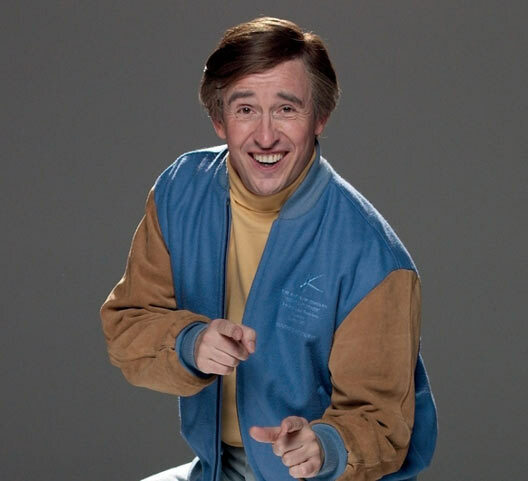 I just discovered that the OAP (Old Alan Partridge) movie is in production and will be out next year. I KNOW everyone else had this information earlier and didn’t tell me. Mainly because I was told to “Shelter In Place” a few months ago because a “person” was “seen” in my wing of the “house” (hospital).